I can't think of anything more stressful than hanging pictures on the walls. I hate the damage afterwards (in case you happen to change your mind) and it does require some planning and patience (which I don't have). That's why I have left this nasty job to my husband in the past but I am happy to report I've found an easy, hassle free solution! I had heard of adhesive strips before but was sceptical whether they actually work. Surely they won't be able to hold a picture as well as old fashioned nails? The answer is yes. They are every bit as good as they claim to be. Adhesive strips are also a lot easier to remove and most importantly won't damage the wall. You do need to read the instructions carefully though and you still need nails/screws for the large or heavy artwork but otherwise they are fantastic and very popular in our house at the moment. We have two gallery walls and when we did our second one earlier this year, we used medium Command Hanging Strips to hang our Ikea RIBBA frames. I have to say that the job was 100% times easier than when we did our previous gallery wall using nails. The tricky part is that you need to make sure that all the pictures are symmetrical. But, thanks to adhesive strips you have more room to adjust the height/width afterwards. I usually buy them in my second home, Homebase, but many online retailers stock them these days. By the way, I decided to use black and white photos for our bedroom gallery wall. 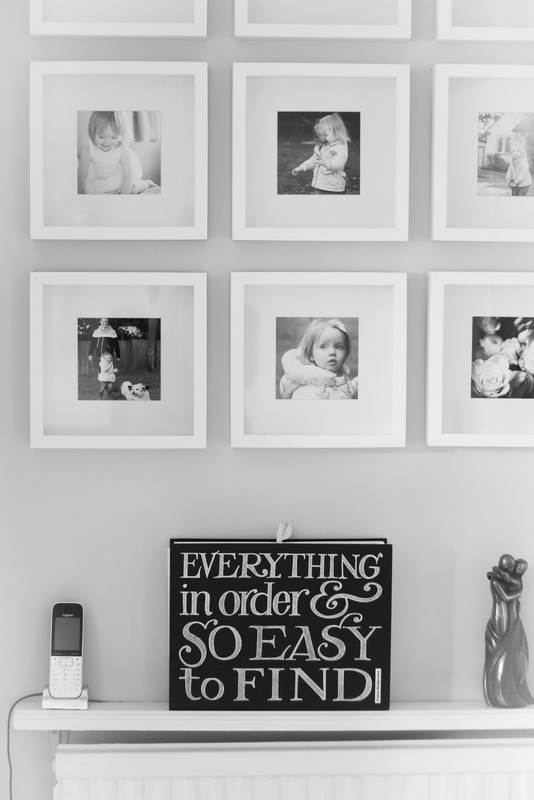 The frames seem to stand out nicely against beige walls and I love the contrast with black and white. I think it's important to either keep it symmetrical (and make sure the photos go well together) or go for a 'messy wall' and introduce artwork and/or objects to make it more interesting. I wouldn't mind having one downstairs but I haven't quite made up my mind yet. 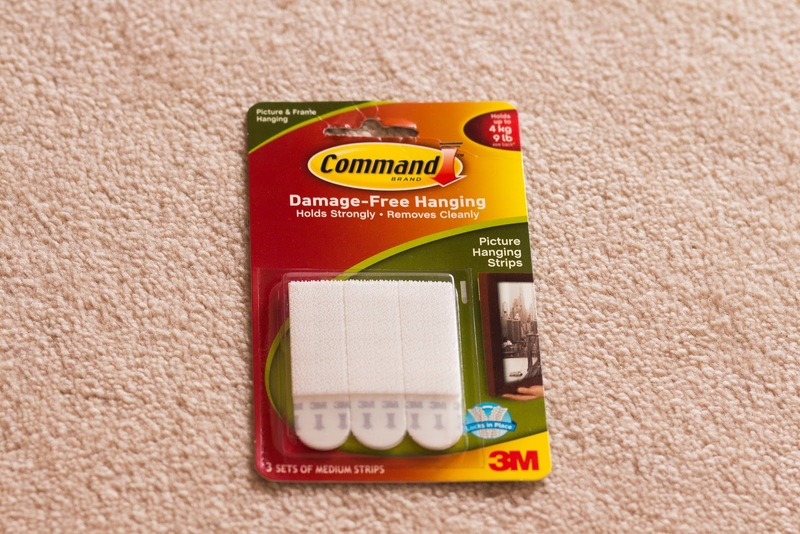 There are several Command Products available out there from wire hooks to decor tiles. 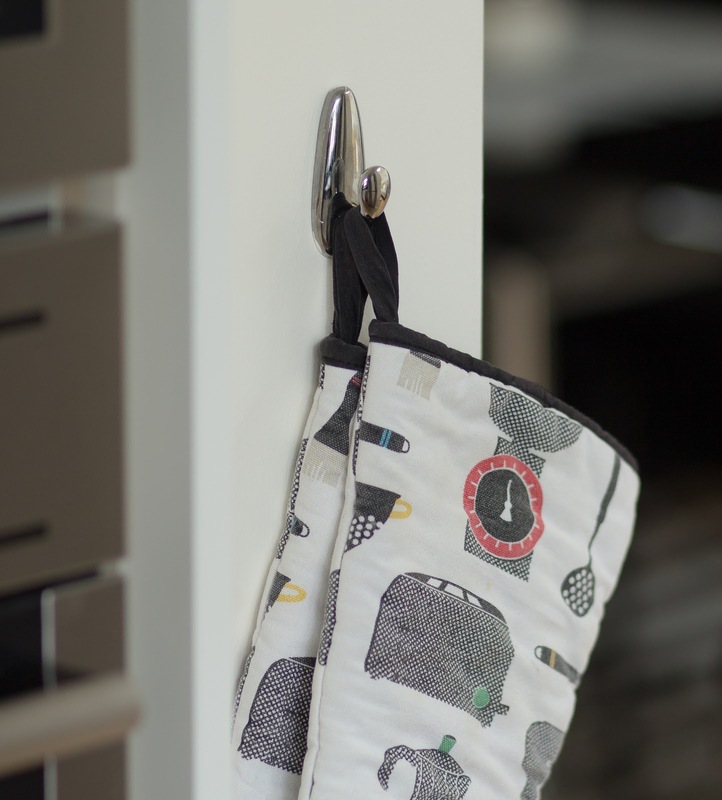 We use Metal Command Hooks in our kitchen which are ideal for hanging oven mitts or kitchen towels. They look contemporary and are incredibly versatile. Command hooks are also great for Christmas decorations and we use Clear Command Hooks to hang up our Christmas socks. 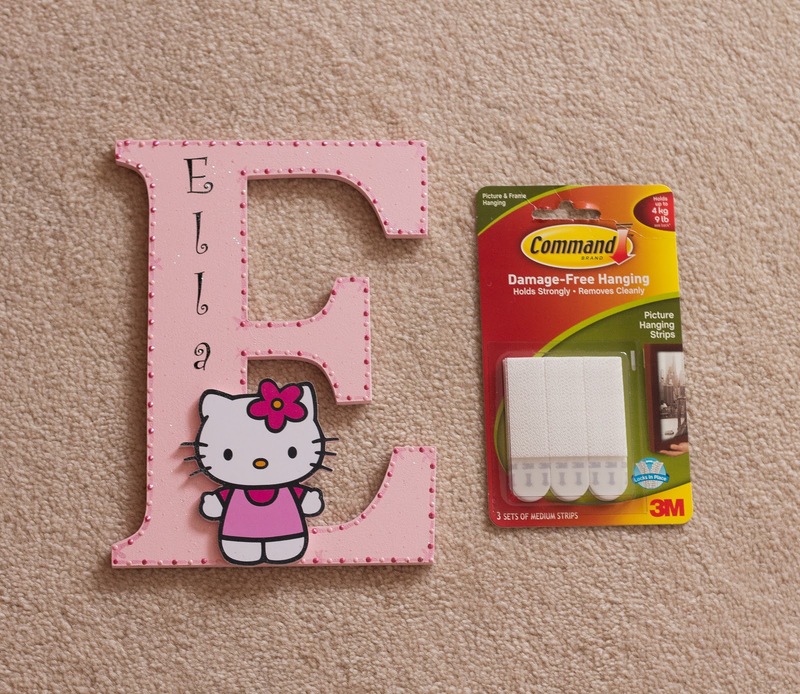 Have a look at 15 Brilliant Things You Can Do With Command Hooks. Some of the ideas are pretty ingenious, I must admit! Our daughter moved into her 'big girl room' recently (I will write another post about this soon) so we have been busy transforming our old guest room into a fun toddler room. 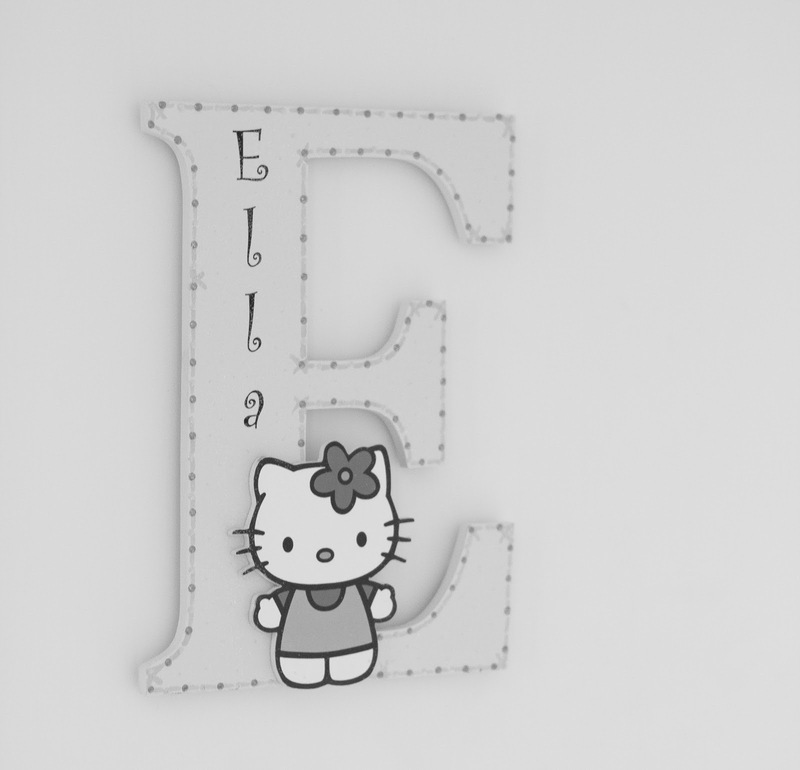 Adhesive strips were incredibly handy when we were hanging wall art (light canvases) and I also used medium strips to hang a Hello Kitty door sign to the door. Ideally, I would have used some smaller strips as well but since I didn't have them, I just cut one of them in half. There are clear instructions on the reverse side and it's worth making sure what you are hanging up isn't too heavy (check the weight capacity). Also, make sure the surface you will be using it on is clean and compatible with the product. Vinyl and textured surfaces (ie. wallpaper) won't work very well at all. I wouldn't hang anything too valuable in case it does fall down, although we have yet to experience this. Don't try to skimp on the materials either. I actually tend to use a bit extra to make sure the product will really stick to the wall. I wouldn't try to reuse the strips either as it's unlikely they will stick to the wall long term. It's incredibly easy to apply the strips. I only used water and a sponge to clean the surface although they do advice you to clean it with alcohol. It's especially important to press each set on for 30 seconds and to peel off the surface just before you are about to hang it. Adhesive strips have really changed the way we decorate. I am willing to take a lot more risks now that I don't have to worry about the damage on the walls afterwards. 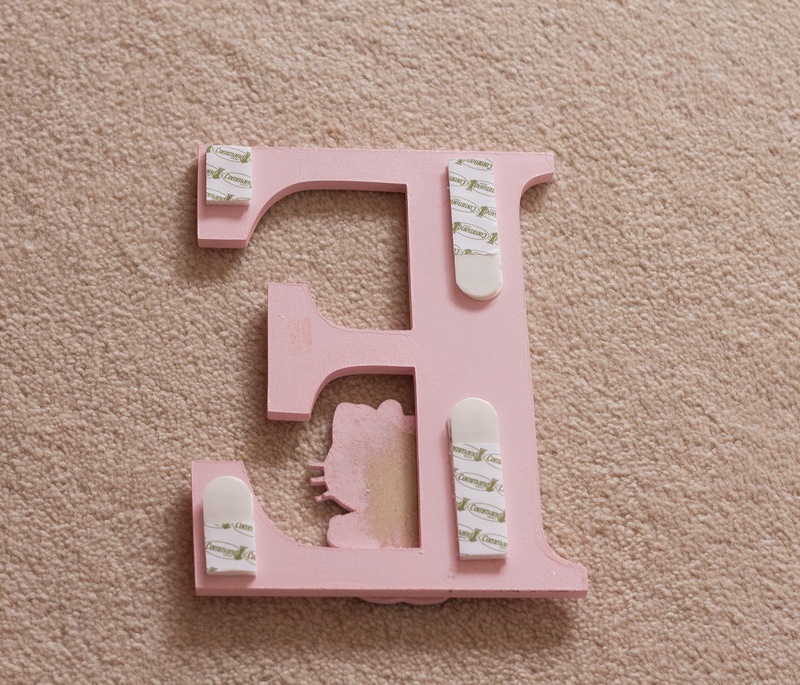 By the way, the strips can be tricky to remove from certain surfaces. I remember that the tape left a yellow mark on painted wood once that wouldn't come off. I didn't want to use white spirit on the surface in case the paint would come off as well but luckily we had to hang another picture on the same spot. I have never had a problem with walls though. It comes off just beautifully and you'd never know any kind of tape was used there. If you're not sure about the material, just read the instructions or do a test on a smaller area first to see how it reacts. 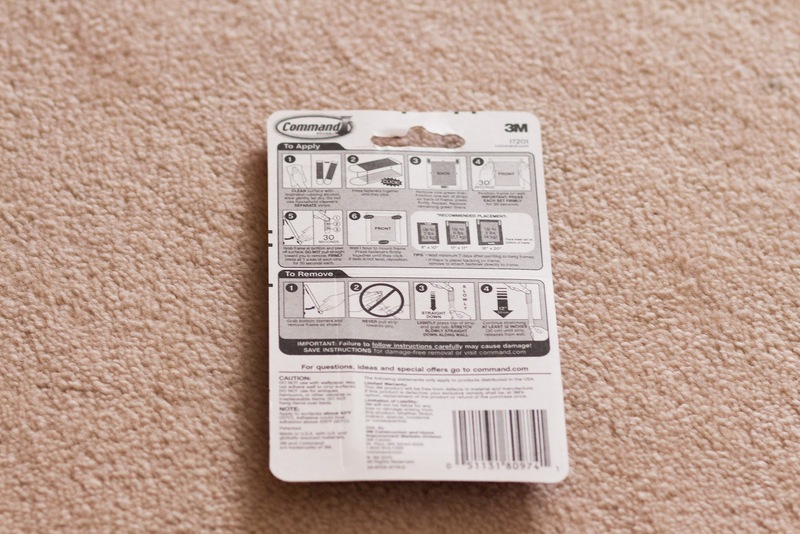 Has anyone used Command Strips or a similar brand? Like I said I have been very happy with them and will definitely continue to use them in our house. If you want some inspiration, have a look at the Command Projects section where you can get ideas from outdoors projects to Halloween celebration ideas. Happy decorating!